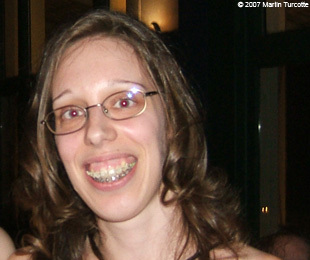 To make you appreciate more the physical transformation I've gone through with my orthodontic treatments and my orthognathic surgeries, I decided to introduce you to the "old me" at different times of my life with the following pictures. 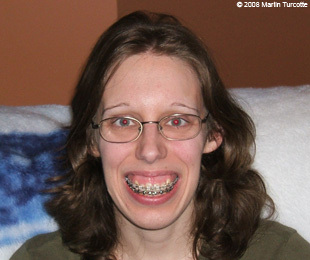 Since I couldn't find enough pictures of me that I was willing to show here before my orthodontic treatments to have a full page worth of pictures, I decided to consider the "old me" as I was before my orthognathic surgeries. 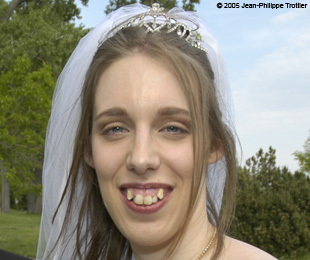 That is, after all, the moment when the biggest part of my physical transformation occurred. 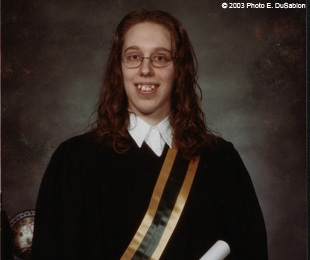 February 2003 - My graduation from university. 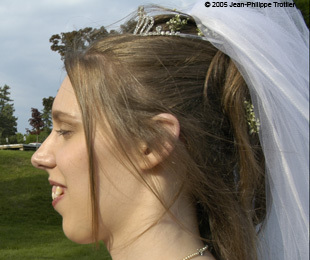 June 4, 2005 - My wedding. 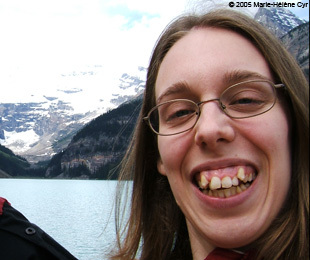 June 2005 - My trip to Western Canada. 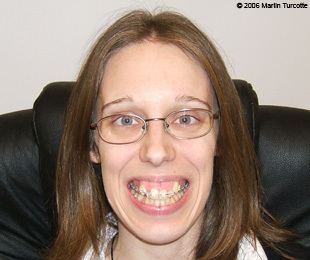 October 2006 - 10 days after the beginning of my orthodontic treatments. 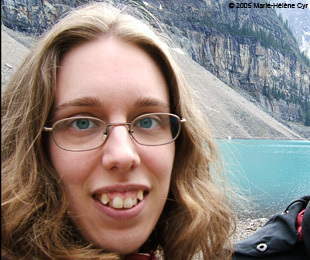 May 2007 - 7 months after the beginning of my orthodontic treatments. 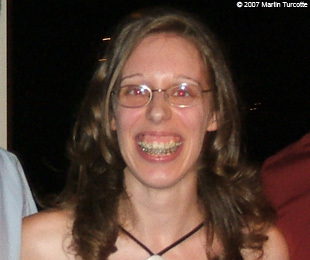 September 8, 2007 - Almost one year after the beginning of my orthodontic treatments. 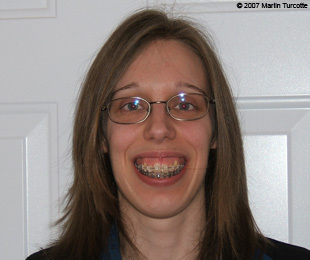 March 16, 2008 - The day before my first orthognathic surgery.